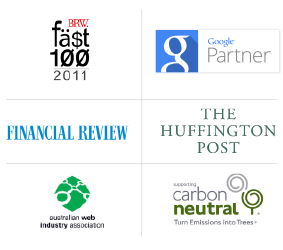 Trusted by over 4000 businesses, we are one of Australia’s leading business logo design companies. Our reputation has been built on delivering quality logo designs at affordable prices with exceptional service. 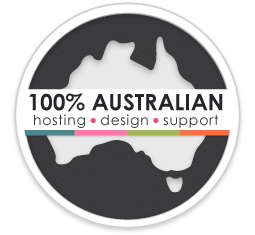 We have clients Australia wide and a talented, experienced team of in-house logo designers who will work with you to create a great logo that works for your business. We have a good understanding of business concepts and branding imagery to create an impactful corporate identity. We pride ourselves on delivering great logos in an efficient and affordable manner. Our talented designers know you need a professional yet affordable logo. Our logo designers work in a team where brainstorming is required and supervised by a Senior Art Director, and also report to the Creative Director ensuring all designs have at least two pairs of eyes on their creation – all part of our quality assurance. Our website and logo designers get to continuously develop their skills and experience by exposure to our design work flow and the sheer number and variety of clients they get to work with. Making Magicdust the logical choice as your logo design company. 6 reasons to choose Magicdust to design your logo. 1. Who’s counting? : We work with you and design until you love your logo design. We want you to be happy with the result. 2. Professional Approach: Our logo designers are supervised by a Senior Art Director and our Creative Director to ensure quality control and that the logo design standard is of the highest quality! 3. Affordable: Our professional approach is not going to cost the earth, our designs are very affordable. Unlike cheap logo design templates or logo maker software, your company’s logo will be 100% custom designed. 4. Depth of Experience: We have a lot of clients so our designers have all worked with a huge variety of clients. Your local designer is most unlikely to match our experience, even large design agencies would be unlikely to see the diversity of clients that we have! 5. Creativity: We’re routinely described as clever, cool, original, gifted and understanding. We have great designers who live for art and design. 6. Reputation: We are proud of the praise we receive from clients all over Australia and also at being recommended by them to others. Call or email us to discuss your logo or branding requirements or ideas. Our friendly and experienced consultants can answer any questions you may have. To get some ideas of what you would like your company’s logo design to look like, check out some of our client’s best logos. 1. First we send you a logo design brief. This is a questionnaire that you fill out, answering questions relating to your business and ideas regarding your logo design. 2. 3-7 days after we have received your design brief you will be given initial logo concepts from our design team. 3. From this point you will go back and forth with the designer until you are 100% happy with the logo design and sign off on the artwork.